Bahrain Defence Force (BDF) said it is taking part in the “Arab Shield 1” joint drill which will be held in Egypt until November 16 at Mohammed Najib Military Base and the joint air and naval training zones in the Mediterranean Sea. 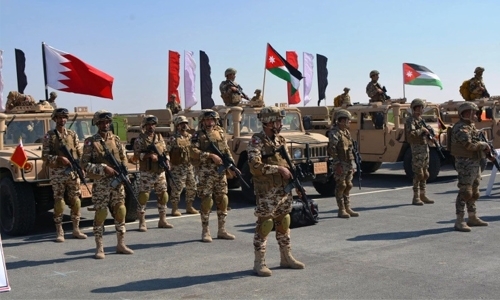 The exercise is considered as one of the biggest joint Arab manoeuvres in the region with the participation of eight Arab countries and monitors to carry out the joint land, naval and air military exercises. The participating forces are from Egypt, the Kingdom of Saudi Arabia, the UAE, Kuwait, Jordan and other countries taking part as monitors. The drill aims to boost military cooperation between the armed forces of brotherly countries to unify concepts, exchange experiences and boost the combat readiness.